The free printables below feature the main characters of Big Hero 6 in coloring pages, activities and crafts. Build your own Baymax out of a balloon! Color all 6 superheros! Send Big Hero 6 post cards. Give friends a “Baymax cares” note. 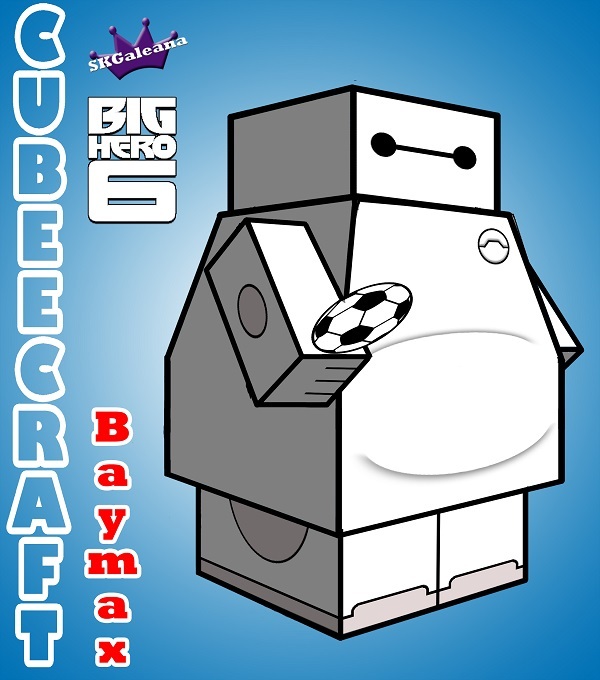 Build a Baymax cubeecraft. There are so many fun items to download, print and create you may find yourself having to have them all! As more printable become available I will add them to the list below. These are free to print and create! Simply click the images, download the PDFs and start your superhero journey! Use them for parties, decorate the house or just spend some time with the kids. Have fun and remember Baymax Cares!